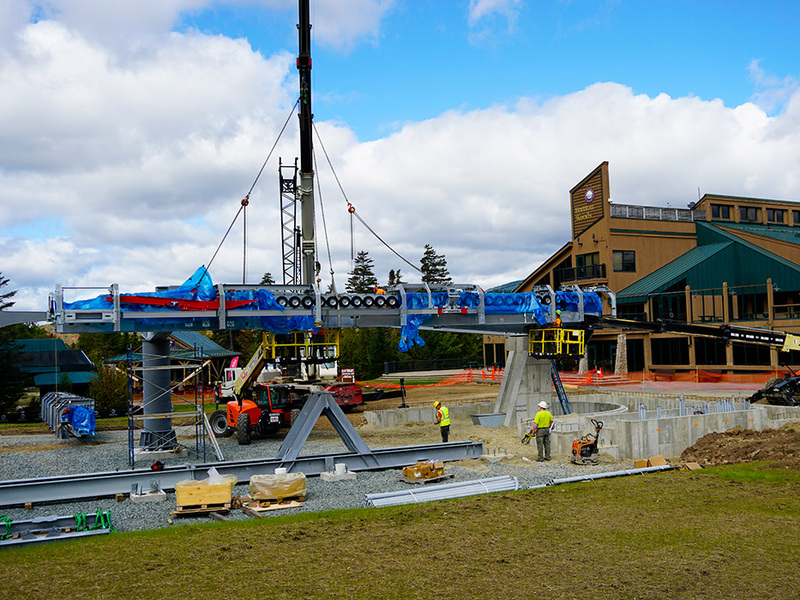 New Gondola Construction Photos, Bretton Woods, NH - New England's Four-Season Resort. 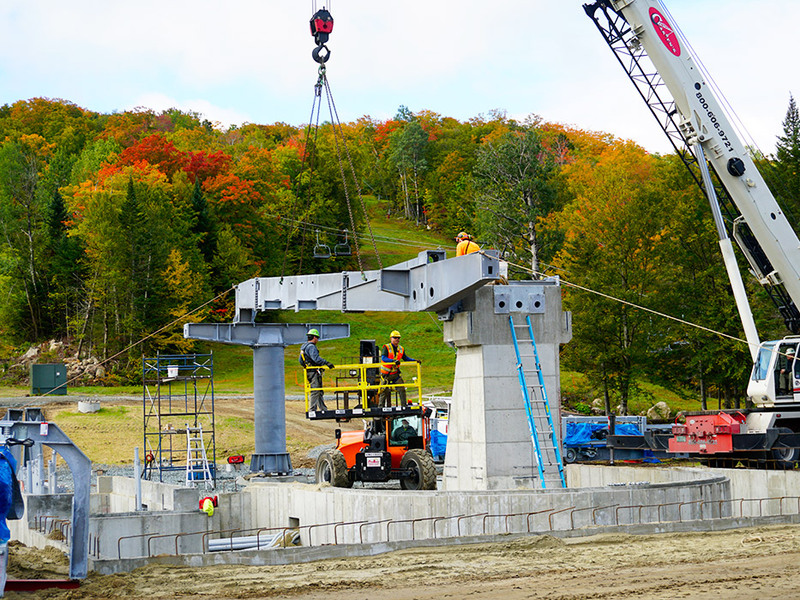 The 17 lift towers, if laid end-to-end, measure 841 feet. The Eiffel Tower is 1000 feet tall. 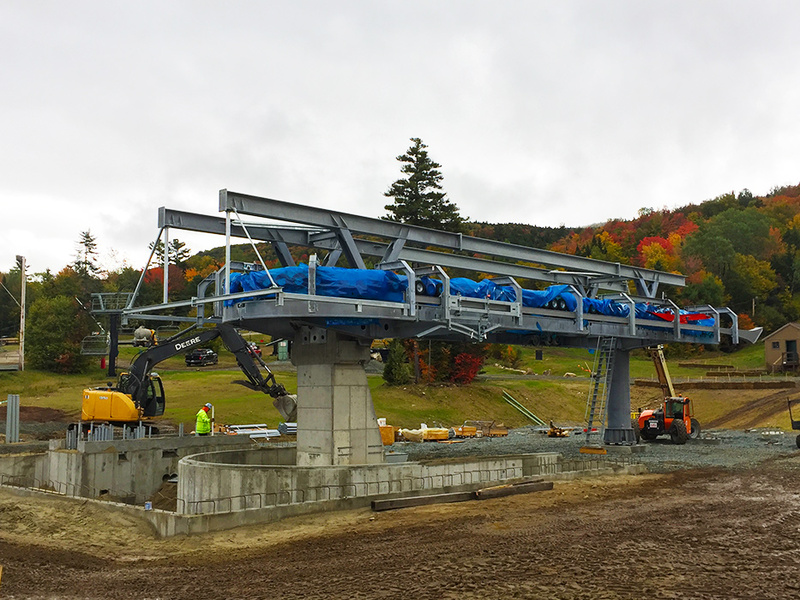 The gondola will have 2 1/4 miles of wire rope (cable) when completed. 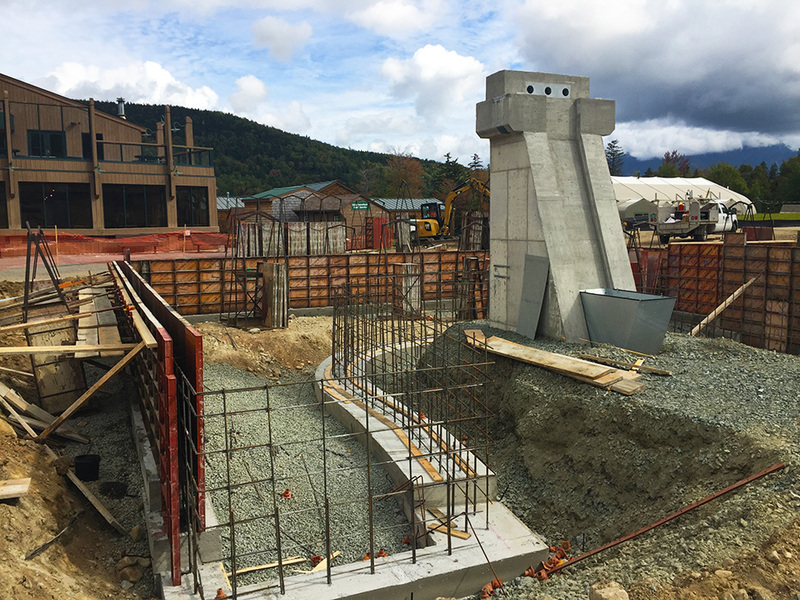 Over 500 cubic yards of concrete will be poured for foundations and pads. Uphill speed will be more than 13 mph. 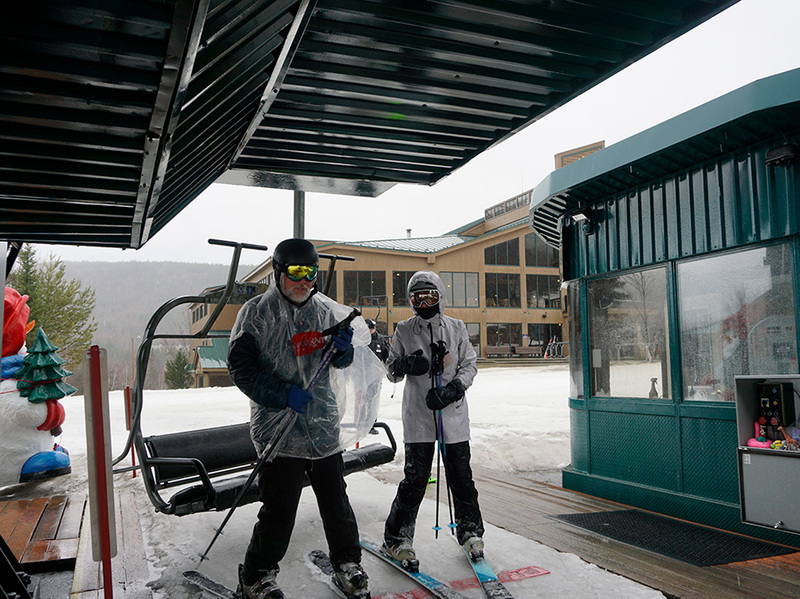 Ride time will be 4.9 minutes. 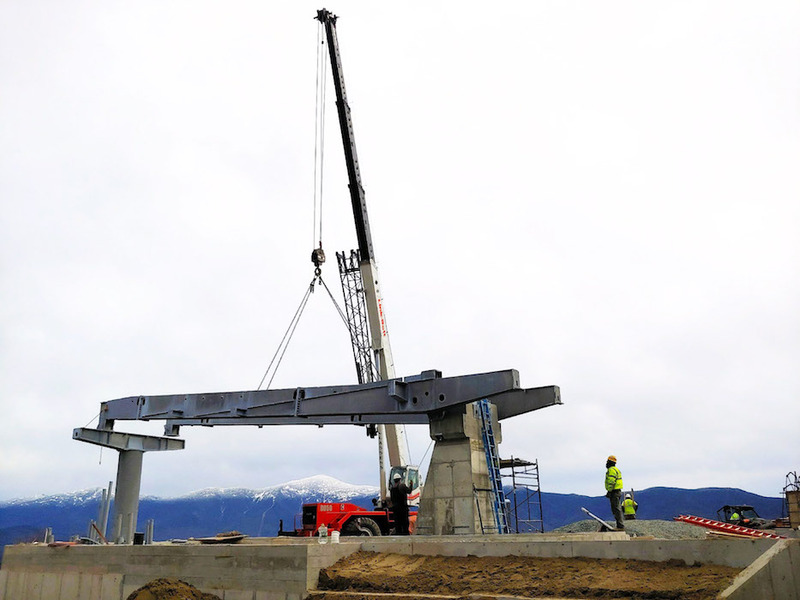 The first pieces of steel are lowered into place at the top terminal this morning. Buttoned up just in time for snow! 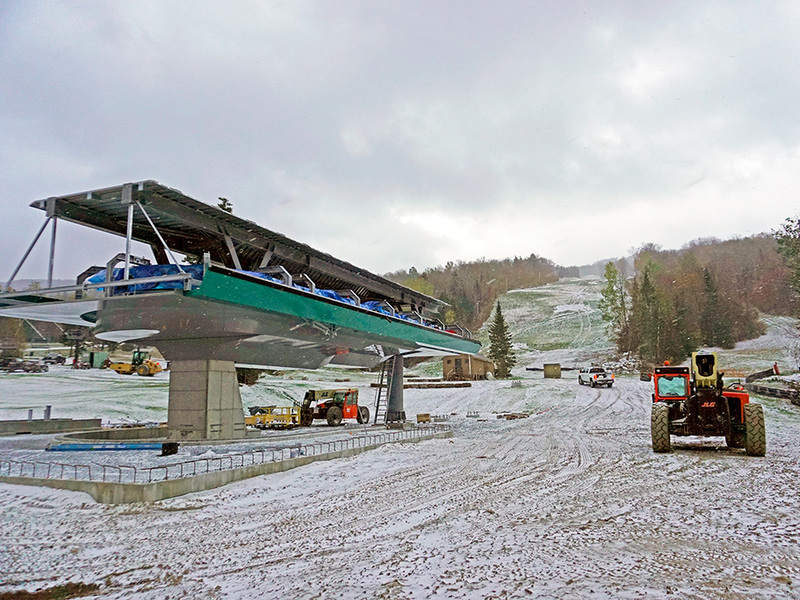 Remember that time your new gondola saw snow for the first time? 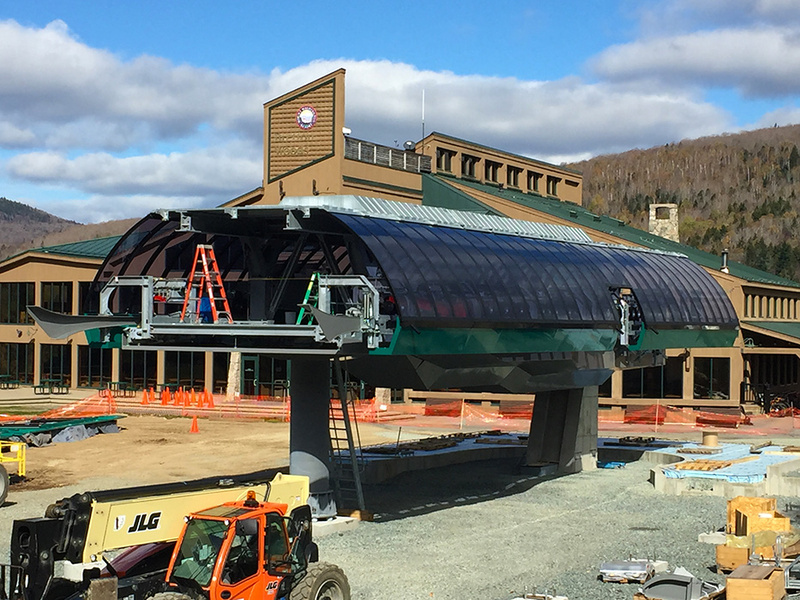 It's starting to look like a gondola terminal. Couple of hours later things are starting to take shape. 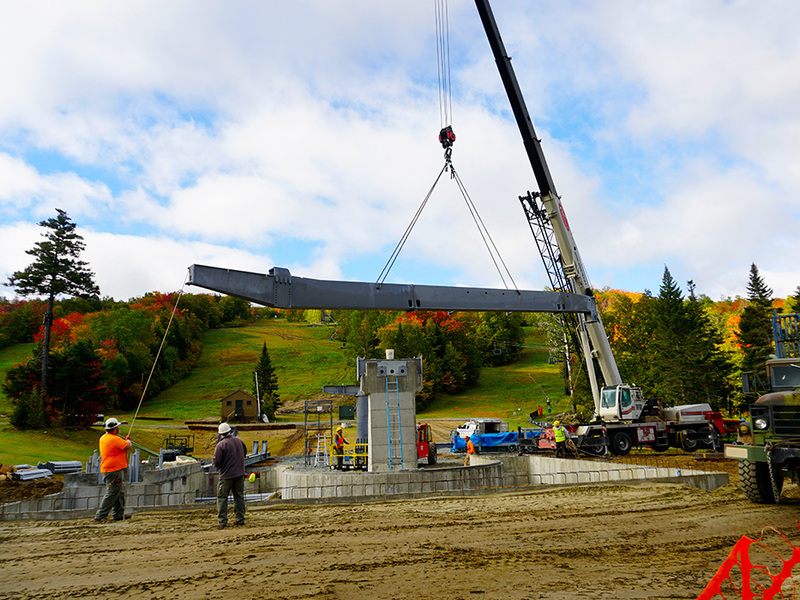 Lowering the first piece of steel into place. 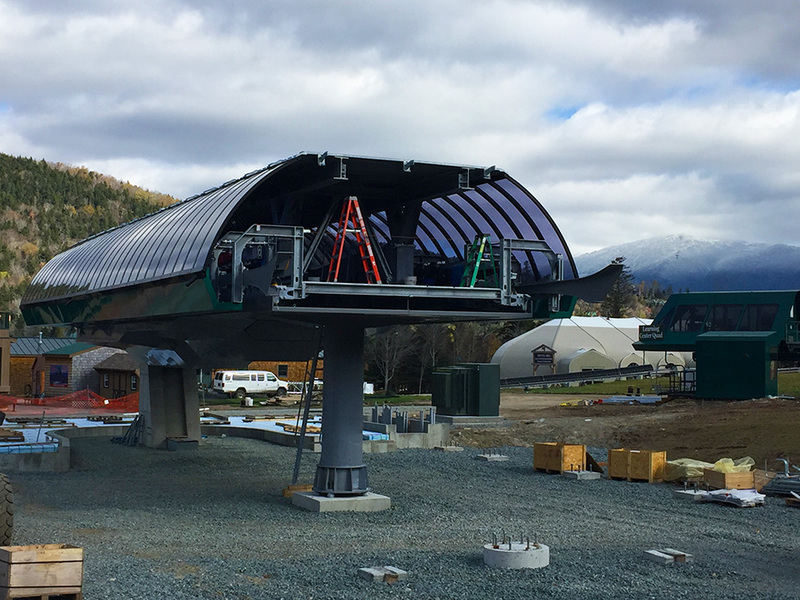 Gondola construction continues with the installation of the bottom terminal mast. 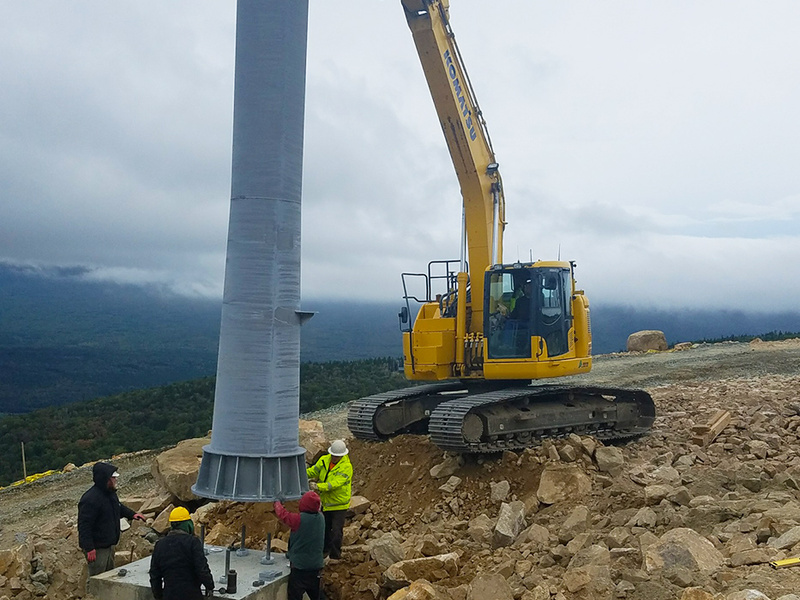 Up goes the top terminal mast! 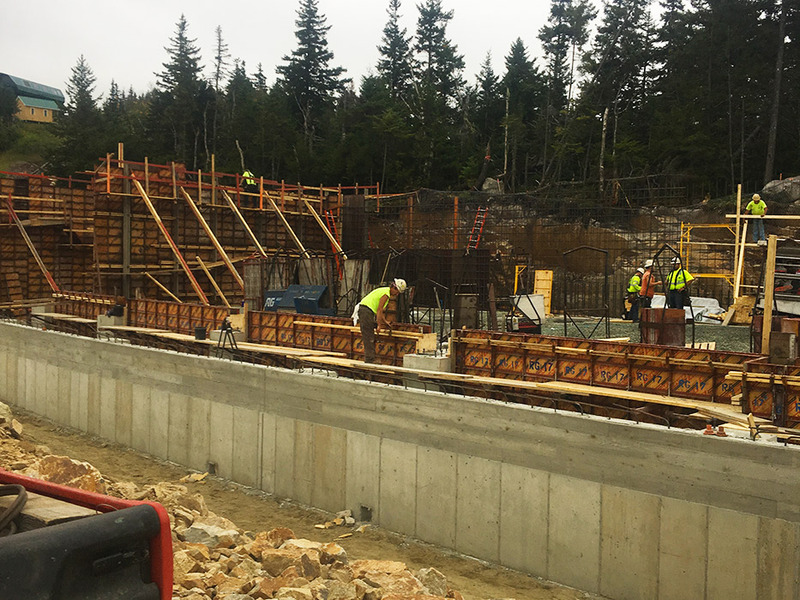 More concrete for the bottom terminal...the entire project will use over 500 cubic yards of concrete! 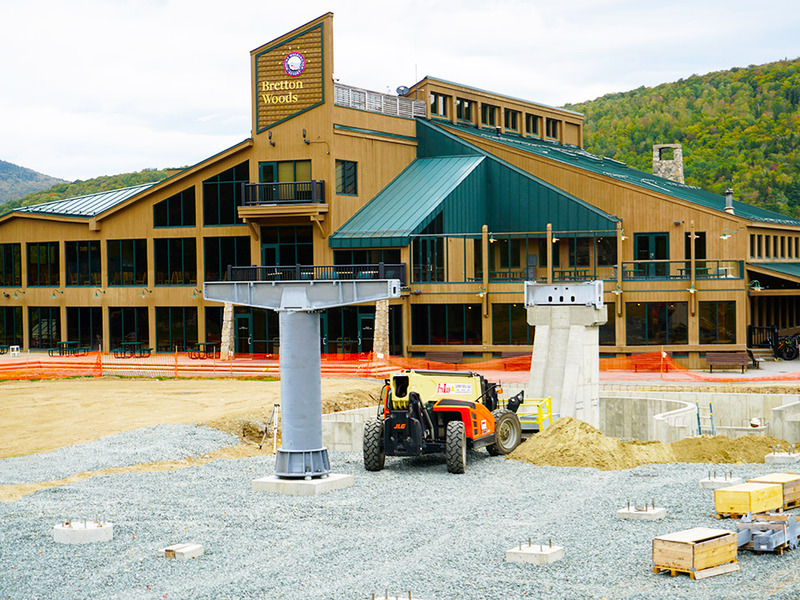 Work on the summit terminal is moving right along! Building and pouring the forms for what will eventually be part of the base terminal building. 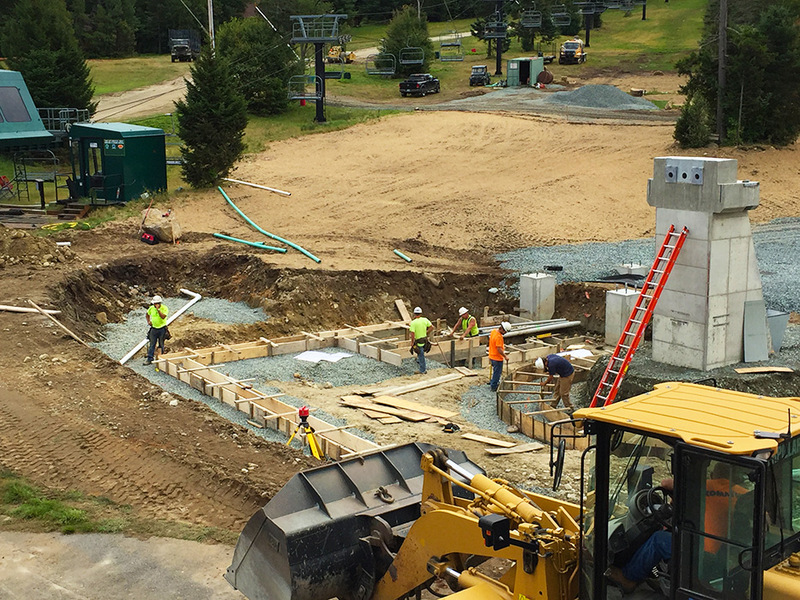 The next phase of construction of the bottom terminal has started! 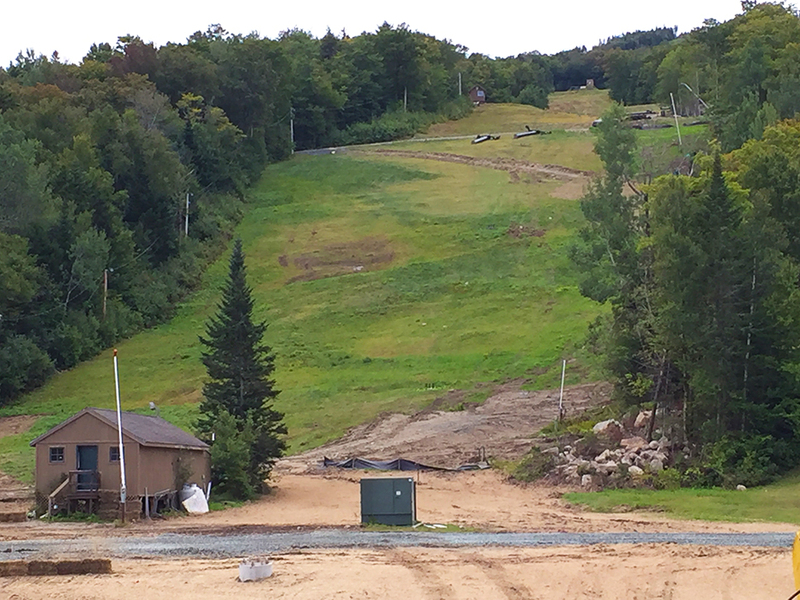 The last remnants of the old B-Lift have been removed. Look closely and you can see the towers on the ground waiting to be moved.